Back in May, we had a fun, friendly, and fantastic Israeli family stay with us for a few days. 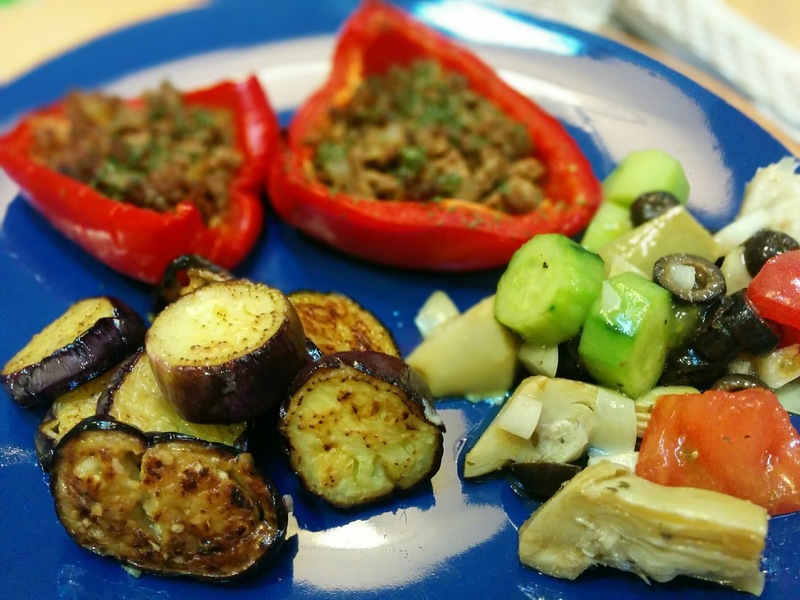 On their last night, Yael and Sharon made the most delicious meal for us, including a special eggplant dish. And here it is for you. Slice the eggplant and fry in olive oil till softened and browned. It took me two times in the pan to fit them all in because they need to be in a single layer. Toss in a bowl with sea salt, fresh lemon juice, and fresh minced garlic. And if you eat it, you'll want to thank our Israeli friends. I'll pass on your gratitude to them. 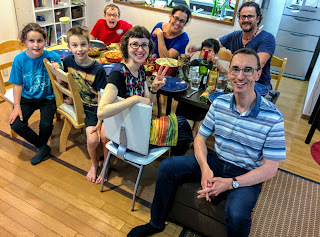 Back in May when our friends were staying with us. We sure do miss them!